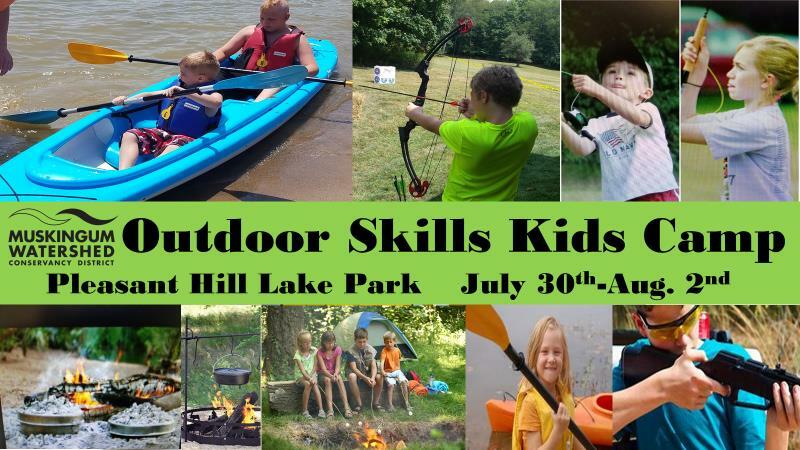 This camp is for kids ages 10 to 17, to discover outdoor adventure skills including kayaking, archery, fishing, and camping! The camp focuses on a different skill each day. Learn basic safety and core skills for each sport activity. All equipment is provided. Registration required and limited to 20 kids per day. $45 for the entire camp includes all equipment and instruction ($15 for the first three days, and get Thursday free). Limited to 20 kids per session each day. The final day of camp includes the Passport to Fishing course, free of charge, and all participants that complete the course will receive a rod, reel, and tackle box to take home! Rods and reels are provided by ODNR Division of Wildlife. Camp runs from 9:00am to 12:00pm each day. Fishing / Fly Tying - Complete this Passport to Fishing program and take home a rod and reel to keep! Meet at the Welcome Center and then head outdoors for each adventure! Call 419-938-7884 for reservations and details OR click HERE to register.